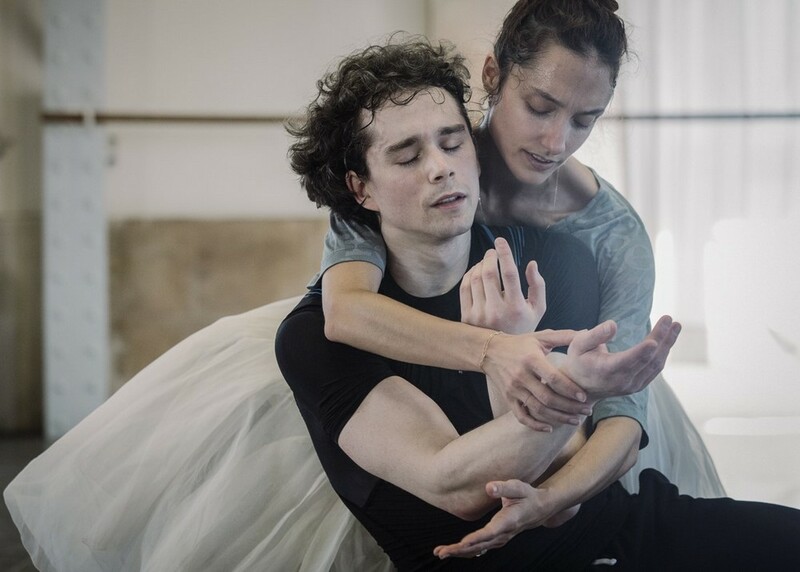 The Paris Opera Ballet’s Dorothée Gilbert and István Simon, principal with Dresden’s Semperoper Ballett, are rehearsing Giselle for the 30th Rudolf Nureyev International Ballet Festival at the Kazan Opera in Russia. Ann Ray was there to capture some moments in the Rotonde Zambelli, named after the Milanese dancer and Paris ballet star, Carlotta Zambelli. It is one of the two famous circular rehearsal rooms, the other named after Zambelli’s pupil Yvette Chauviré. Paris-based artist Ann Ray, also known as Anne Deniau, works in film and photography. A graduate of the Central Saint Martins school in London, she spent ten years creating photographic portraits for The Times. She also made an amazing 35,000 silver photographs of Alexander McQueen and his creations over a thirteen-year period. The Victoria and Albert Museum in London acquired some of these for their Permanent Collection. She is known for her photographs of figures in the art world, and dancers from the Paris Opera Ballet feature prominently in her work. The reflection of Gilbert and Simon in the piano’s lid, (above), is typical of her keen eye. From 21 May until the 26 May in Kazan you can take in La Bayadère, Esmeralda, Giselle, Don Quixote and the Company’s 2013 ballet, Golden Horde. 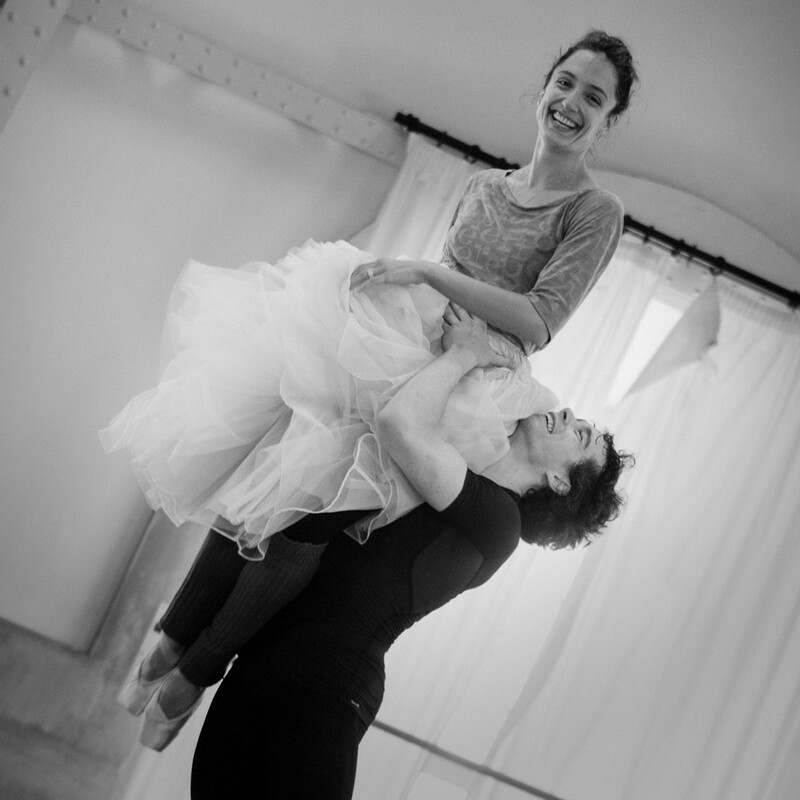 Then, on 29 and 30 May, for two gala performances, Gilbert and Simon will perform Craig Davidson’s Reminiscence and the Giselle 2nd Act pas de deux. Simon will also perform a new work by Davidson alongside his Dresden colleague, Denis Veginiy. A neat coincidence sees Simon rehearsing in the same room which saw the creation of Balanchine’s Le Palais de Cristal, or Symphony in C, which the Semperoper Ballett premieres on Saturday 20 May. Simon will be dancing the opening movement.